Year: 2013. Client: Kubbah Thahab - Kuwait. 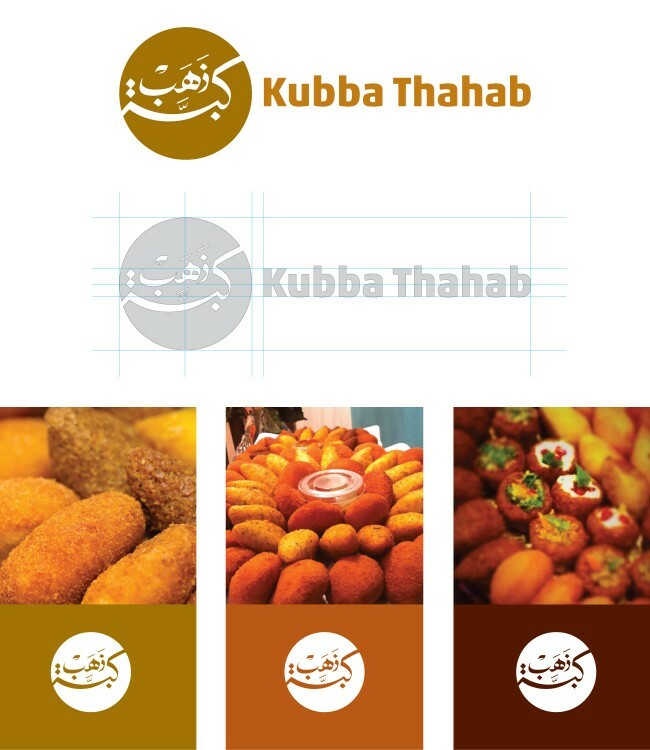 Kubba Thahab ( كبة ذهب ) is a food concept originating from Kuwait, serving a wide variety of the traditional “kibbeh”, a typical Levantine dish best described as a fried stuffed croquette. 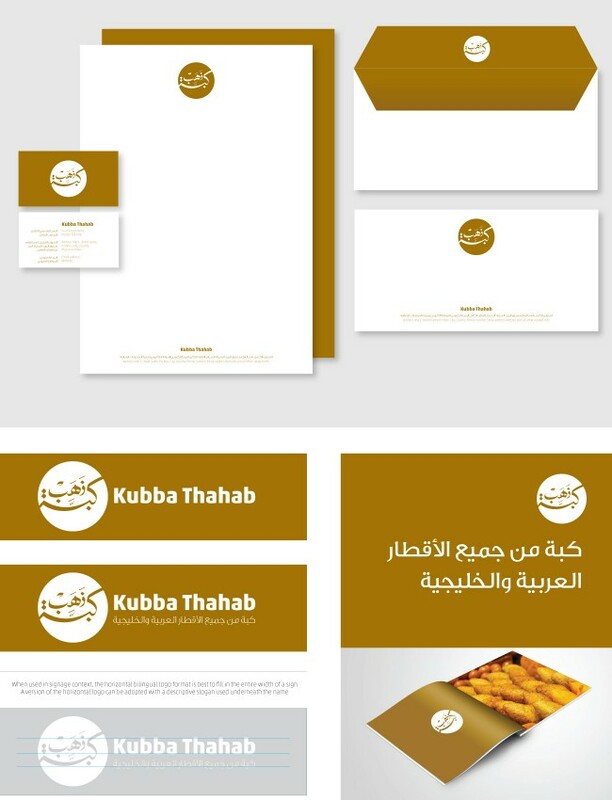 Tarek Atrissi Design developed the full branding for Kubba Thahab, with the goal of packaging the entire concept in the most accurate and appetising way. The visual identity designed needed to create a strong recognizability for the delivery based food concept service, with the ability to develop in the future into a brand applicable to a restaurant chain. Focusing on the creative brand name, which literally means “the golden kibbeh”, the logo design consisted of a calligraphic nostalgic rendering of the two arabic words, placed within a circular shapes that echoed the signature circular kubba of the brand. The design highlighted the local spirit the brand aimed to communicate. The colour palette adopted was inspired by the golden colour with shades of matching yellows and orange. The design of the visual identity consisted of creating an elaborate brandbook providing detailed guidelines on how each promotional and marketing item for the brand should be designed. 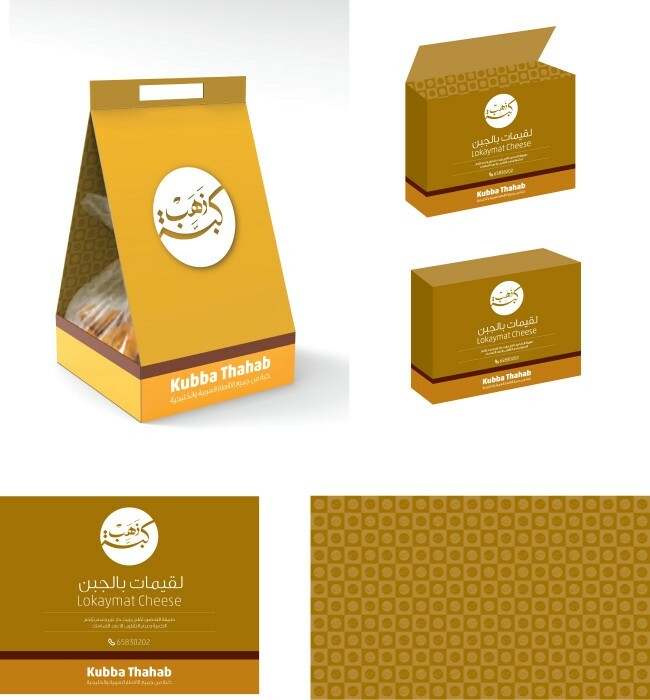 The project included designing most of the printed collaterals for kubba Thahab, the packaging solution for the delivery service as well as a corporate pattern and all key social media graphics. The brand is today one of the most original, recognisable and popular food concepts of its kind in Kuwait and is expanding towards the rest of the gulf countries in the region.